What now for Chelsea’s Victor Moses? Chelsea have been collecting attacking midfielders over the last couple of years, which has given them a real log jam. With Mata, Hazard, Oscar, De Bruyne, Schurrle, Piazon, Marin and possibly the arrival of Marko van Ginkel to compete with, Victor Moses is possibly the odd one out. 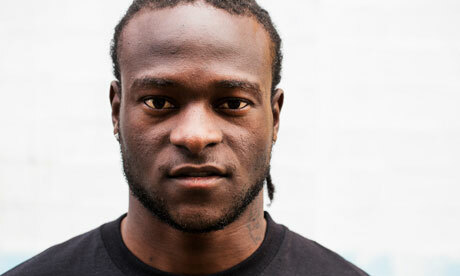 It’s a little unfair on Moses who enjoyed a really solid debut season at Chelsea, scoring 10 and making five goals. All the more impressive considering that he made 16 of his 44 appearances from the bench. By any normal measure it’s a good first season, and if Rafa Benitez was still in charge there wouldn’t be this discussion, but can he forge himself a role under Jose Mourinho or would a move to Everton under his old boss Roberto Martinez make more sense? Jose Mourinho teams play a quick counter attacking style and play with width when transitioning to attack. In theory then, this makes Victor Moses an ideal candidate. He is one of Chelsea’s fastest players, is a direct runner, full of trickery and showed improved decision making last season. Mourinho is going to play either a 4-2-3-1 or 4-3-3 system and Moses is ideal on the right of either of those. He gets goals and under Benitez last year started to show willingness to track runners in a more disciplined defensive side to his game. All of that sounds like it could be appealing to Mourinho but there are only so many players he can fit in to the team. All of the attacking players listed above have pace. They can all score goals, they are all direct. It might be a case of Moses losing his place in the queue just because there are so many other options. Even though he cost £7m last summer they may feel his ceiling is lower than some of his rivals for a spot in the side and he’d lose his place in the hierarchy. But he’ll be very desirable. 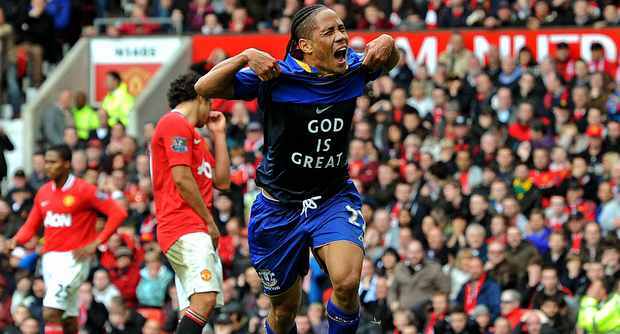 The best place for Moses to go is Everton. This is for two reasons; firstly, he will reunite with Roberto Martinez his old Wigan manager, and that Martinez will be, in all likelihood, implementing a system in which Moses can thrive. Martinez’s Wigan played with wingers and wing backs in his endless search for width, pace and variety in attack. Moses would be a perfect compliment to Kevin Mirallas. Moses keeps wide so can play on the right, allowing Mirallas to come in from the left in to central areas with Baines providing the width on the left. With this in mind, Everton could then look at playing Steven Piennar centrally, or if they want him on the left, Mirallas centrally. Either way, signing Moses would give Everton more options in attack. Martinez’s attacking patterns are all about variety and movement, and so bringing in Moses would help to enable that from the rest of the team. Chelsea would probably ask for something in the region of £10m for Moses but considering all of their other options Everton may be able to get him for £8m or so, representing a small profit for Chelsea. He’d be an ideal compliment to the Everton attack and may be better served going there. However, if Jose Mourinho is impressed with his pace and skill on the counter attack he may well be reluctant to sanction him going. He probably didn’t want it made public at his introductory press conference, but according to Everton chairman Bill Kenwright, one of the first things Roberto Martinez said to him was ‘I can get you in to the Champions League’. It’s a big statement of intent, but can it be achieved? For a club that has only finished in a Champions League spot once, albeit they failed to overcome Villarreal in the qualifying round, pushing on from their usual fifth – seventh dwelling is a big ask. However, it’s by no means an impossibility. Who would have thought this season’s cup winners would be Swansea and Wigan? Getting themselves above Arsenal, Spurs and Liverpool and in o fourth would be a greater achievement even than Martinez’s relegation escapes and the FA Cup win. So, how can he do it? Keeping Leighton Baines, Marouane Fellaini and Kevin Mirallas is going to be critical. They are the Everton players who are most desired by other teams, who most belong in the Champions League. 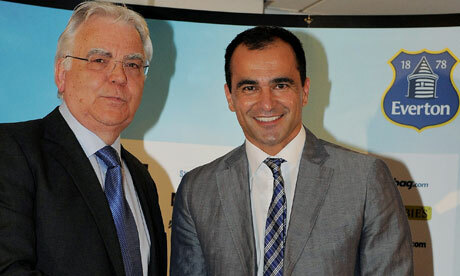 Keeping them will not be easy, despite Kenwright’s assurances than no players are for sale. 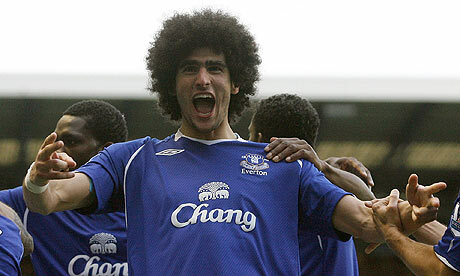 However, Fellaini has a release clause in his contract of around £24m, which makes him vulnerable. His physicality and tenacity have been key factors in giving Everton the toughness and multidimensional attacking virtues that have made them top-six mainstays. Although not always the most elegant on the ball he has shown he can play as a rugged defensive midfielder, or even as a second striker. Such versatility is a valuable asset. One of the questions about Martinez’s Wigan was that they had no Plan B. If passing didn’t work they couldn’t figure out another way to score. Although Fellaini is less technical than Martinez’s ideal, he is a key force for Everton and gives them a legitimate Plan B. It’s possible that Man United, Chelsea, or even Monaco, could open up the release clause. Keeping Leighton Baines is more important but could be just as difficult. There is no more consistent player in the league than Baines and his attacking forays from left back in tandem with Steven Pienaar or Mirallas give Everton as good a flank as any team in the league. Baines is a good defender but it’s his attacking output that is staggering. He gets goals and assists as if he’s a winger. For Martinez this is vital. He plays with extreme width; his 3-4-1-2 system at Wigan was designed to space the pitch out as much as possible. Baines could be unstoppable as the left wing back if Martinez brings the system with him. He’s wanted by Moyes at United to replace a possibly Monaco-bound Patrice Evra though. Kevin Mirallas is the final jewel in the crown but keeping him should be easier. He was arguably Everton’s best player in 2013, regularly putting in performances of devastating thrust in attack and started to score more and more goals. Everton’s attack was their weakness last year, so keeping a major livewire threat in Mirallas is key. Martinez needs pace and width in attack, which he offers in abundance. Buying a striker is the next most important task. Nikica Jelavic and Victor Anichebe are not strikers who can propel a team in to the top four. Whatever money Everton have, they need to throw it in to getting a proper striker. If Man City are willing to let Edin Dzeko go they could push hard for him, they could get involved in the Christian Benteke bidding or even look at a move for Michu. One way or another, they need a forward who can get them 20+ goals, and be reliable. They can get one for the £15m club record the brought Fellaini to the club, but without one they won’t have a chance. Combining solid defence with sophisticated attacking play is the key to Martinez’s possession-based system working for Everton. The defence was good last year, rarely conceding more than once in games. That can be left alone. What does need the Martinez touch is the attack. Everton have been increasingly fluent over recent years so it’s not like he’s inheriting footballing philistines but his tactical set up evolved over his four years at Wigan so might be hard to teach straight away. Everton were excellent at Goodison Park under Moyes but never great away from home. If Martinez can get them dominating possession and playing with the creativity they need, matched with the inherent will to will and desire infused by Moyes and Phil Neville it will be a potent combination. Lastly, they need luck. If Spurs keep Gareth Bale and Arsenal recruit strongly it’s going to be very hard to overthrow them. They need to be flawless in the transfer market themselves, hope others make errors, and allow Martinez’s brand of football time to bed in. They have the winning, tough mentality, and if they can combine that with added attacking flair the top four is in reach. Is Marouane Fellaini a good fit for Manchester United? With David Moyes assuming the Manchester United hotseat, the transfer of Everton’s best players Leighton Baines and Marouane Fellaini to Old Trafford could well be on the cards. With Baines’ form and Patrice Evra in need of some top competition, the England international’s signing would make sense. But do the Premier League champions need Fellaini? The Belgian has offered Everton a versatility that could well be useful for United. Fellaini has played most of his football this season as a brutish second striker, but has admitted that he prefers playing as an enforcer in front of his side’s defence. United could potentially use one new signing in both of these positions. Michael Carrick has been devoid of support over the last 12 months in the centre of the park, while doubts remain over Wayne Rooney’s mindset. In the attacking role, Fellaini certainly would provide an addition offensive option. His direct approach, ability in the air and endless running have made him a star in a good Everton team, and Fellaini has proved a nightmare for many a defence, including United’s, over the last 12 months. In the centre of the midfield, Fellaini would certainly offer United more energy and a physical presence that has been missing since the retirement of Roy Keane. With Paul Scholes hanging up his boots, a creative central midfielder needs to be a priority, however Fellaini’s ability to be a stopper in the centre of the park could also be a sensible signing. Phil Jones has filled the enforcer role well in the recent past, but his preferred position is yet to be determined. However, whether Fellaini has the ability on the ball and craft to fit into the United passing game is questionable. The Old Trafford faithful will want to avoid a scenario where the side compromise style for a direct approach, and utilising Fellaini in an attacking position could result in this. Fellaini’s transfer fee is likely to be sizeable given Everton’s financial position, but it appears that he does not have a definite place in the United set-up. His versatility may well be asset, but the Red Devils may well end up signing a player that is good at two positions but great at neither. As the 2012/13 Premier League season lurches towards its underwhelming end, the realisation for many a fan is that it left us with precious little memories, compared to other seasons – notably the most sensational ending in the competition’s 21-year history last term. Tyler’s now iconic sound bite may have had some truth to it, certainly this season at least, he was right. As the season sleepwalks into its final day, there is only the tedious race for fourth place that is still to play for amongst London trio Arsenal, Chelsea and Tottenham Hotspur. The champions United won the division as far back at April 22. Sir Alex Ferguson’s side took advantage of a lacklustre competition and they marched to their 13th Premier League title in an efficient, if unspectacular, manner. Two of the three relegated teams’ fate were sealed a week later when Queens Park Rangers played out a dour 0-0 with Reading before Wigan Athletic joined them on Tuesday following a 4-1 defeat to Arsenal. Indeed the most exciting events to happen in the league this season were announcements and decisions that will not come into focus until next season. Happily next season is already shaping up to be mouth-watering, with a whole of changes sweeping throughout the league, giving it a fresh feel for the summer of 2013. To begin with, four of the top six teams this season will be starting the 2013/14 campaign with new managers at the helm. 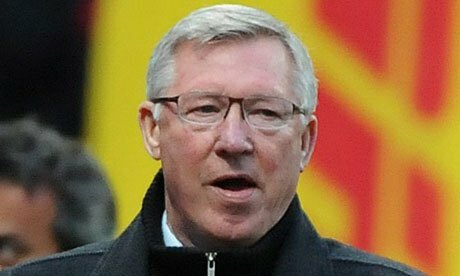 Manchester United will be without Alex Ferguson for the first time in 26 years, with his replacement David Moyes leaving Everton, where he served for over a decade himself. Ferguson’s absence from English football is a concept millions of fans around the country have never known and Moyes’ adaptation to the country’s biggest club will be the most fascinating plot next season. Everton chairman Bill Kenwright admitted that he will not be hasty in appointing Moyes’ successor, with the most reliable reports linking the Blues with Wigan’s Roberto Martinez, Porto coach Vitor Pereira and Swansea City boss Michael Laudrup. Rafael Benitez will depart Chelsea, with Jose Mourinho seemingly set for a second stint at Stamford Bridge. The return of the ‘Special One’ is enough to excite every Chelsea fan and most neutrals. Love him or loathe him, Mourinho is pure box office and his return to England is sure to stir up feuds, drama and entertainment. Man City are looking for a new manager with Malaga’s Manuel Pellegrini touted as the favourite to take over from the axed Roberto Mancini. Incidentally, the Italian was given his P45 just 366 days after he ended his side’s 44-year wait for a league title in the top division. Pellegrini’s presence in English football would provide another interesting sub-plot to next season’s 38 act drama. The Chilean has won widespread plaudits for his work with the Andalusians this season, after guiding them to a Champions League quarter-final in their first season in the competition, despite working against a backdrop of financial meltdown at the club. Away from the dug-out, the division will be without two players who will have played 1456 top-flight games between them by Sunday evening. Jamie Carragher will retire from Liverpool after 16 years of sterling service for the Reds, while Paul Scholes looks set to make the last of 718 appearances for United when they play West Bromwich Albion. Between them they have won five FA Cups, three Champions Leagues, five League Cups, a UEFA Cup, a Super Cup and two World Club Championships. Scholes leaves United with 11 Premier Leagues and both players say goodbye to the game as archetypal one-club legends for their respective teams. Wayne Rooney’s future is also subject to speculation with Ferguson admitting that the England international had asked for a transfer request a few weeks back. Rooney has been linked with moves abroad to Paris Saint-Germain amongst others, but there have also been reports suggesting that the former Everton forward could move to Chelsea. A move to Stamford Bridge would be another incredible development in United’s recent evolution, and perhaps it may seem incomprehensible that Rooney could turn out for the Blues next season. However, stranger things have happened in football, and Man Utd’s decision-makers have never been shy of selling a star player when they think his talent may be on the wane. Next season will also have the fixture that pits Cardiff City against Swansea City, a game which will only add more spice to a division that already boasts the Merseyside, Manchester, north London and Tyne-Wear derbies. Equate in all this with the fact that the transfer window is not yet even open and you get the feeling that next season could be one of the most intriguing all of time. Can Kevin Mirallas help Everton leapfrog Tottenham, Arsenal and Chelsea for a Champions League spot? Could Mirallas miracles help Everton Edge out two of the London giants for Champions League football? Behind Manchester United and City in the Premier League, the other big name clubs find themselves scrapping it out for European football and primarily a top-four spot, which grants entry to the glamour of next season’s Champions League. A first glance at how things currently stand would have most people reckoning on two from three of the big London sides, Chelsea, Tottenham and Arsenal joining the Manchester pair in the top four positions come the final day. Everton though, remain within touching distance and with games against both Arsenal and Chelsea still to come, have to an extent, their destiny in their own hands. While Spurs have just lost Gareth Bale for a couple of weeks, the Toffees by contrast, have an exciting player who may just be hitting top form at the right time. 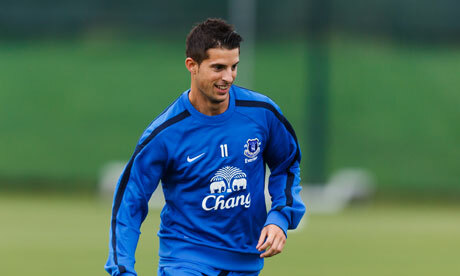 Kevin Mirallas arrived at Goodison last summer amid what could be described as little more than modest optimism. £6 million isn’t really a figure that sets pulses racing these days in the transfer markets, although by Everton’s standards this could be described as David Moyes splashing the cash, if not maybe even getting a bit reckless. The player was signed on the back of a successful campaign in the Greek Super league with Olympiacos, where he scored 20 times. The problem was though that at that time Mirallas, then 24-years-old, had never come close to that sort of goal tally before, despite having several seasons in the French top flight under his belt. He has also only netted six times in over 30 international caps. Moyes however, rarely gets it wrong with his acquisitions and it seems he may now be placed to begin seeing a return on his investment having shunted the player to a wide attacking role. Much has been said of the promise on the horizon for Belgian football and the current talented crop migrating from that small nation to Europe’s big leagues. Eden Hazard was the most high-profile acquisition in the summer and he has certainly made an impact. Jan Vertonghen has consistently impressed for Spurs and Mirallas has even been overshadowed by a fellow countryman at Everton thanks to the swashbuckling antics of Marouane Fellaini. The 25-year-old is now though beginning to revel in his role cutting in from the wing and is starting to look as dangerous as anyone in the league. Early in the season the Belgian showed promise but injuries soon hampered his debut campaign. His comeback stuttered and he impressed only with a cameo here and a dribble there. The last few weeks however have seen him threaten defences consistently and produce two stunning individual goals against Stoke and Spurs. Granted the Standard Liege youth graduate did land on Merseyside with a poor goal-scoring pedigree but the Greek goal haul and his exploits in the last fortnight suggest he can finish. Despite this it could be that if Moyes continues to deploy him wide he may get the best results. The 25-year-old boasts pace, excellent close control and has the look of a player who can threaten defenders when cutting inside to run at the backline. He also gives Everton a nice balance with his skill on the right to compliment the link- up between Baines and Pienaar on the left. Getting the ball wide to Mirallas could well be another option Everton can deploy when searching for a breakthrough, an alternative to hoisting the ball onto the chest of Fellaini. Moyes’ men are certainly outsiders for a Champions League berth as they currently trail fourth-placed Tottenham by six points, albeit with a game in hand. They are also though, perennial over-achievers who have finished strongly in recent years and if Mirallas can continue his sparkling form they should not be counted out. A surprise win in their next away fixture at the Emirates would blow the race for the Champions League wide open. Premier League Preview: Di Canio ready to prove a point, Last chance for QPR and a Manchester derby. As the Premiership comes into its last two months every fixture has significance at both the top and bottom of the table. Here is a look at the key fixtures this weekend. 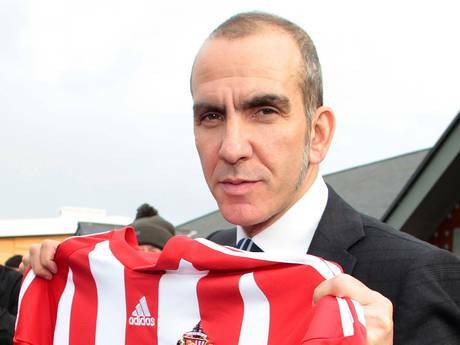 After a week of talking about his political beliefs, Paolo Di Canio finally gets a chance to focus on what he wants as he makes his managerial debut in the Premiership. He certainly couldn’t have asked for a much harder task as he takes his Sunderland side to Stamford Bridge. There is no doubt Di Canio will have his side well organised defensively, as he left a Swindon side with the best defensive record in the country. He is also well known for watching hours of video of the opposition looking at collective and individual strengths and weaknesses. The only problem may well be working out what team Chelsea will play, as it is their fourth game in just over a week. With the incentive of impressing their new manager and Chelsea’s possible weariness it would not be a surprise to see Sunderland take a point here. This is surely the last chance for Harry Redknapp’s side to make up ground on the teams above them. They are currently seven points behind a Wigan side, who are in 17th. A defeat would leave them ten points behind with just six games left and surely facing an impossible task. This Wigan side are starting to hit form at just the right time with back-to-back home wins over Newcastle and Norwich. Home advantage may just sway this in QPR’s favour and the first goal will be vital. If Wigan get it then the home fans will be on their teams back but if Rangers can get it the fans may well inspire them to a vital home win. The race for the European places enters another crucial weekend and there is no game bigger than at White Hart Lane. 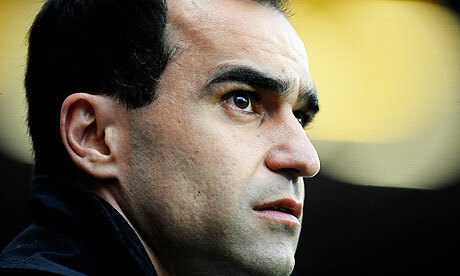 Everton travel to a Spurs side that may have Manchester City in their sights if results go their way this weekend. Before Thursday night Spurs were full of confidence and a home win was extremely likely, but after a poor defensive showing against Basel and injuries to key men Aaron Lennon and Gareth Bale, this fixture is looking a lot more troublesome. Everton have responded well to their FA Cup humiliation against Wigan with back-to-back home wins against Manchester City and Stoke. Everton know a win here would leave them just three points behind Spurs with a game in hand and right in the thick of the race for the Champions League places. This will be a hard fought game but with Tottenham having played on Thursday and the injuries to key men Everton may well pick up an away win here. While the title may well be pretty much won by the Old Trafford side, this game is still important for a number of reasons. Manchester United will see this as a chance for revenge for last season’s 6-1 defeat to their nearest rivals and an opportunity to do the double following their 3-2 win at the Etihad earlier this season. For City it is about laying down a marker for next season and proving that they can still match United. This game is also vital for the blue half of Manchester to keep the teams behind them out of reach. If results don’t go the right way for City before they play, then Spurs, Chelsea and Arsenal may well be within a few points of them and City will find themselves in a fight for an automatic Champions League place. Under David Moyes Everton have always maintained a small first-team squad and spent their money on players they can put straight in to the first team. They very rarely sign young players unless they are for tiny transfer fees. They have predominantly purchased from the domestic market with an occasional higher price venture in to the overseas market. One thing has remained a prominent theme though, and that is that they will buy players they don’t need if the price is right. Sometimes it looks as though some of them have been signed because of the price rather than because of need or being Moyes’ preferred target. It’s only Leighton Baines and Marouane Fellaini, possibly Kevin Mirallas, that the club went out and specifically targeted. They have been excellent opportunists, jumping on good value propositions. Whether led by Moyes or someone else, it would seem apparent that this will be the policy they will follow again in the summer. Scout Report Reid has adapted seamlessly to the Premier League in his debut season. 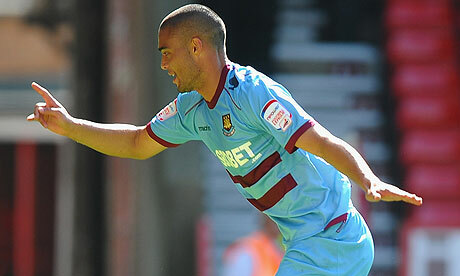 A tall, speedy and strong central defender, he has been West Ham’s best player this campaign. He has a World Cup under his belt, has improved rapidly over the last couple of seasons and at only 24 has plenty more potential to be unlocked. Not the most polished on the ball but he takes his defending seriously and does the job he is selected to do. Where does he fit? Everton badly need to freshen up at centre back. Phil Jagielka is not playing up his previous levels, Sylvain Distin is 35 and Jonny Heitinga’s performances have gone off a cliff. What they need in particular is an infusion of athleticism. Reid is quicker than any of those three and is willing to put his body on the line. He would also add a bit of youth to the aging back line. How much? Critically for Everton, his contract is due to expire in the summer so he would be available as a free agent. He would be a typical Everton signing. Scout Report Remember him? Flamini has been in and out of the Milan team this season but still possesses all the qualities that made him such a prised free agent when Milan snaffled him from Arsenal. He is a gritty, hard working ‘water carrier’ of a midfielder who grinds away making things difficult for the opposition. He has a somewhat restricted range of passing but he does the dirty work that needs doing. Where does he fit? Everton are currently fielding 35-year-old Phil Neville in the disruptor role and only otherwise have Darron Gibson who they’ve tried there but he doesn’t have the ideal skill set for the role. Flamini is an upgrade on both of the incumbents and at 29 has the type of experience that Everton prefer. How much? Flamini will available for free in the summer when his contract expires. He presents the type of opportunistic move that Everton thrive on. Scout Report M’Bokani has made a career of scoring goals in Belgium but might now be looking to test his skills overseas. He is an awkward opponent, tall, strong and languid. He is also a potent finisher, a skill that he has improved over the years. 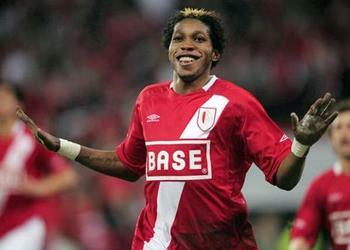 At 27 he is a polished player ready for a greater challenge than the Belgian league where he scores a goal a game. Where does he fit? Nikica Jelavic has struggled with second season syndrome and although Victor Anichebe does what he does he isn’t a 15-20 goal man. Everton could really use another option upfront. If they’d had a regular goal scorer aside from Fellaini this year they might well have found themselves in the Champions League shake up. How much? Buying from Belgium has become fashionable lately but it is still an affordable place to look. M’Bokani could be had for about £7m which is toward the top end of Everton’s budget but isn’t a lot for a striker. 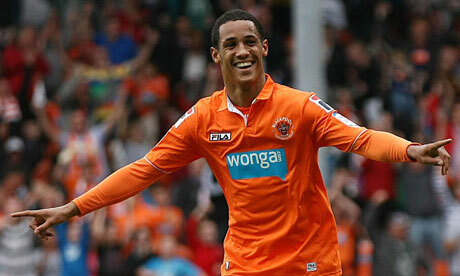 Scout Report Ince has emerged as one of the most desirable players outside the Premier League over the last 18 months. He is most dangerous when operating on the right hand side of a front three but he also has the capability to play wide in a 4-2-3-1. His lead suit is cutting in from the right and firing off shots with his powerful left foot. He clearly models his game on Arjen Robben and has a similar swagger and confidence in his own ability. Like his father, he doesn’t take a step back. He is fast and fluid, if a little raw, but he is only 21 with the basic materials to be a threat in the Premier League. Where does he fit? Everton need pace in attack. Only Mirallas is what could be described as quick and they could do with another pacey outlet to shake things up when Plan A doesn’t work. Deploying Ince opposite Steven Pienaar would allow Mirallas to operate more centrally where he could use his pace to challenge the Premier League’s mostly pace-inhibited centre backs. How much? Ince has run down his contract so that he will be free in the summer. It is thought that Liverpool are interested but Everton could offer him the first-team football that he surely needs. Scout Report It’s only a few years ago that Cesar was considered the best in the world. Although he isn’t at that level anymore he is still one of the best keepers in the league. A wonderful shot stopper, he has kept teams out on his own on more than one occasion for QPR this season. Even at 33 he still has a good few years left in him. Where does he fit? This season Tim Howard has been a liability. He hasn’t really been dropping clangers but he hasn’t been good either. Picture all the goals Everton have conceded where you see Howard diving late or not making a save that he might well have done. Cesar would be a huge upgrade behind a defence that allows shots on goal. Plug and play. How much? 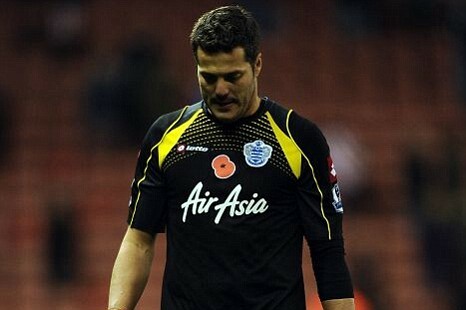 If QPR go down then it’s near impossible to imagine Cesar not wanting to move on. Quite apart from his big wage which QPR should be looking to shell. With that in mind a bid of £2m would be on the mark. Does Moyes need Everton more than they need him? As the players trudged off the turf after a crushing FA Cup defeat, Everton Football Club were crestfallen. Three goals in as many minutes saw Wigan Athletic deal the Blues the hammer blow that confined them to another season without silverware, a millstone that clings heavily around the neck of manager David Moyes and his club as a whole. Many fans hung around Goodison Park after the final whistle to vent their frustrations at the worst performance of the season in what was undoubtedly, the biggest match of their campaign. Of course, Everton have been here before. The defeat meant that twice in less than 12 months, the blue half of Merseyside have been eliminated from England’s premier cup competition in a tie where the word ‘final’ is uttered. 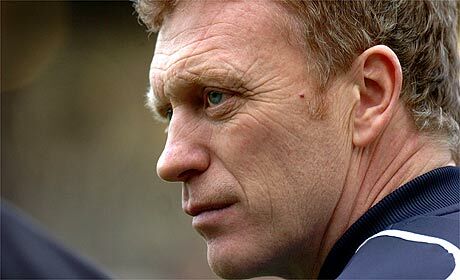 In April 2012, David Moyes’ side were beaten 2-1 at the semi-final stage by their bitter local rivals Liverpool, and on the day that saw the Grand National take place at Aintree Racecourse, it was easy to use the racing terminology to describe their defeat as a ‘final furlong collapse’ in the penultimate game before a Wembley final. On that day, it was Andy Carroll’s late header that gave Kenny Dalglish’s side the win and saw them book their place in the final, and the aftermath of the defeat saw David Moyes have his future at the club called into question by fans, pundits and journalists alike. The feeling was that the crushing loss to their fierce rivals would see Moyes question if he had taken his side as far as he could. Since the defeat, both Moyes and the Blues as a whole have put the bitter disappointment of the exit behind them, dusted themselves off and have performed admirably in the Premier League this season. However, despite the latest setback against Wigan offering similarities to the defeat to the Reds last year, the feeling amongst Everton fans this time round is slightly different. Many feel that Moyes was too cautious in his approach against a side who are perennial Premier League strugglers and sat just one place above the relegation zone at the time of kick-off last Saturday. The theory was that while it is prudent management to prepare for your opponents’ strengths, the decision to start Phil Neville ahead of Darron Gibson in midfield and the selection of just one striker in the form of Nikicia Jelavic was seen as criminal. So what does Moyes do next? Time and again he has saw his side come up short when it really matters. Since joining in 2002, the closest he has been to a trophy at the Blues was when his side took a first minute lead in the 2009 FA Cup final to Chelsea, only to be undone by goals from Frank Lampard and Didier Drogba. The Scot has unquestionably had the Blues punching above their weight for several seasons, and their unlikely push for a Champions League spot this term has been a breath of fresh air to the Premier League. Moyes has said that he will not decide his future until the summer, and there is a growing feeling from many that the former Preston North End boss will call time on his 11-year association with Everton. A chronic lack of investment at the club means Moyes has never been able to compete with most other clubs in the league and has had to rummage around the lower end of the transfer market for years, unearthing bargains, polishing their skills and selling them for a profit. Should Moyes stick with the Blues, it will represent a calculated gamble, a risk that could see his reputation as a manager plummet should he struggle to continue his consistency with the Blues. But does Moyes need Everton more than they need him in 2013? Moyes may be forced to survey the managerial landscape at the end of the campaign and surmise that there are currently no other clubs out there who he could walk into that are better than Everton. 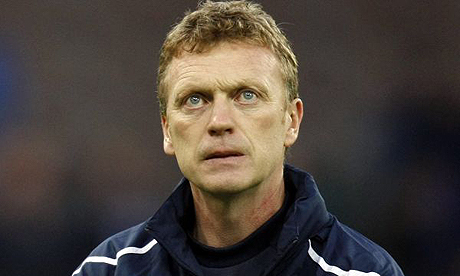 For years it has been assumed wisdom that Moyes will leave the Blues for a ‘bigger club’. Chelsea, Tottenham Hotspur and even Manchester United have been mentioned, but at the end of the campaign, when he decides his future, perhaps, a good look at the situation will cause him equate that the grass at Goodison Park is in fact no less greener than anywhere else. 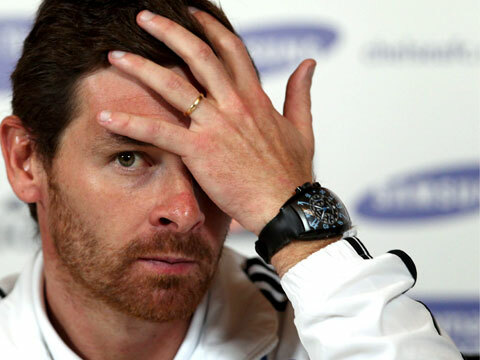 Spurs are settled with Andre Villas-Boas at the helm, Sir Alex Ferguson shows no signs of relenting at Old Trafford and Moyes knows a job with Chelsea means he is always less than half-a-dozen poor results away from unemployment. Celtic have no desire to replace Neil Lennon and Gordon Strachan has only recently just taken over as national boss of Moyes’ Scotland two months ago. There are very few options available where he would be better placed than in his current spot in the dugout at Goodison Park. Is it time for Everton and David Moyes to part company? Is the time right for Moyes to move on? Next week marks the 11th year anniversary of David Moyes taking charge of Everton but after Saturday’s 3-0 FA Cup quarter-final defeat to Wigan he may feel it is time for a change for both himself and the club when his contract runs out in the summer. After such a lacklustre performance in such a big game for the club, Moyes may wonder how much longer he can continue getting so close to that elusive first trophy only for his players to seemingly freeze when the opportunity presents itself. Just like last year when they held a 1-0 half-time lead over Liverpool in the semi-final; they seemed to go into their shells and not have the belief to grasp the chance of glory. He will certainly not be short of offers if he does decide to call time on his tenure at Goodison Park. His record in the league has been outstanding considering the budget he has had compared to the teams he has been competing with. For the last six seasons Everton have finished no lower than eighth and they are likely to finish higher than that this season as well. Add into that Champions League qualification once and three times qualifying for the Europa League and Moyes has unquestionably regalvanised the club. 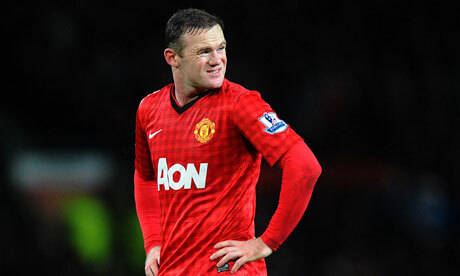 Moyes has completely rebuilt the team as well to include players who are now coveted by some of Europe’s top clubs. His record in the transfer market has been exceptional. The likes of Marouane Fellaini, Steven Pienaar and Nikica Jelavic have all had an impact to make Everton an attacking force, not forgetting the now departed Mikel Arteta. He has also turned Everton into a solid defensive unit with the consistent Tim Howard in goal, the experience of Sylvain Distin and Phil Jagielka at centre-back and the ever improving Leighton Baines at left back. Having these good players though may provide another reason for Moyes to consider his future in the summer. Fellaini seems almost certain to leave in the summer with Chelsea rumoured to be preparing a bid. Baines also seems certain to attract interest in the summer having been the league’s most consistent left-back this season. Manchester United continue to be linked with him, and a move could especially be on the cards if Patrice Evra makes his way to PSG. If these types of players are sold and with no news on the horizon of new investment, Moyes may feel there is no more that he can achieve. A couple of months ago Moyes already stated his ambition to manage abroad at some point, citing Germany as his ideal destination. Decision time is inching closer and closer for Moyes. There is no doubt that the board and fans want him to stay, but is the constant saga about whether he will sign or not beginning to have an unsettling effect on the players? Does a defeat like the one on Saturday make him even more determined to come back fighting next season? Or does it just confirm to him that enough is enough and he now needs to seek a new challenge? These are all questions that need to be answered quickly, ideally with a decision from Moyes himself, otherwise Everton may find themselves wasting their good work from the first three quarters of the season. With Manchester City slipping up against Southampton yesterday to be beaten 3-1, current Premier League leaders Manchester United have a glorious opportunity to push their lead at the top of the table to a considerable 12 points with a win over Everton. With only 12 games to play after this afternoon’s fixture at Old Trafford, this lead would be almost unassailable, however Sir Alex Ferguson will be wary of the travelling Evertonians. United found themselves in a similar position last season, with a sizeable points advantage over cross-town rivals City. 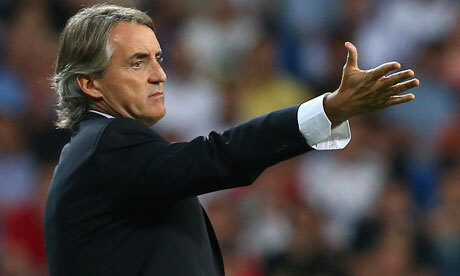 However poor form towards the end of the campaign ultimately allowed Roberto Mancini’s charges back into the title race, with the blue side of the city celebrating on a nail-biting last day of the season. One of the fixtures on footballscores.com football results that will stand out in the minds of United fans will be the 4-4 draw against Everton at Old Trafford. The Red Devils relinquished 3-1 and 4-2 leads over David Moyes’ men that day, which ultimately proved costly at the end of the season. United have suffered no such downturn in form this time round, with an excellent record of picking up 35 points from a possible 39 over their last 13 league games. With Robin van Persie and Wayne Rooney in form, the hosts will be confident of matching the four goals they scored in the fixture in 2011-12. Everton showed a never-say-die attitude last season in the fixture, and Moyes’ charges have improved again over the last couple of months. The Toffees are eager to contend for a top-four berth and Champions League qualification, however with Tottenham and Arsenal winning on Saturday the Liverpudlians need to pick up points to maintain their ambitions. Marouane Fellaini’s future has been constantly questioned in the press after impressive performances this term, and the Belgian will be a key man if he shakes off injury to feature. Along with the in-form Steven Pienaar, Nikola Jelavic and Kevin Mirallas, Everton have the potential to make it difficult for a less-than-solid United rearguard. After a 1-0 win over United at Goodison Park on the first day of the season, the hosts would be foolish to underestimate their opponents today. Both teams want the three points; if Everton manage a shock win it will show the Premier League that they are a real contender for Champions League qualification, whilst if United win the title race could well be over.